While most landscape contractors are still in the middle of the proverbial “100 days of hell” – the spring landscape season, there is a high level of activity with both buyers and sellers this year. There are a number of high-quality acquisition prospects testing the market now and we believe now is an excellent time to be considering acquisition opportunities. Our lead story this month examines six reasons to consider making an acquisition now. For potential sellers, there are also some reasons to consider a sale transaction. One of the more significant reasons is the increase in both capital gains and ordinary income tax rates currently scheduled for January 1, 2013. Of course, we can not predict whether there will be an additional extension of the lower rates in the midst of this election year. There are several good reasons why now is a good time for a landscape company to consider making an acquisition. Let’s take a look at some of the most compelling reasons that landscape business owners should seriously consider making a move now. Typical valuations in the green industry remain highly attractive for acquirors. A combination of relatively few transactions during the downturn and the challenging financing market in recent years have combined to keep valuations quite attractive for acquirors in the lawn and landscape industry, particularly compared to the periods of rapid consolidation a few years ago. The landscape services industry is expected to have solid growth in 2012 and better growth in 2012. Industry projections call for industry-wide revenues to grow over 4% in 2012 and over 7% in 2013. In prime markets, operators can expect growth to exceed these levels. A well-orchestrated acquisition may allow an acquiring company not only their share of industry growth but growth based on a target company’s market share as well. This can have the effect of significantly increasing the return on investment associated with an acquisition. During the recession, competition became very acute within the commercial landscape maintenance segment, compressing margins for many companies. Although design-build companies in many (but definitely not all) markets experienced sharply reduced demand, margins have often remained much higher than in the maintenance segment. Although various factors have lessened the demand for design-build companies as acquisition targets, in select situations, the returns may be substantial. Valuations have been most constrained for these companies, but in many markets, their business has rebounded considerably with the economic recovery as both commercial and residential customers are beginning to take on projects that were delayed during the recession. In addition, homeowners who are tending stay in their homes for a longer period due to lower home values are taking on home improvement projects including, in many cases, large landscape projects. As a result, buyers may be able to quickly recoup the acquisition costs of strategically placed design-build firms.  As we have noted in the past, there are almost always more buyers than sellers for landscape services businesses. Typically business owners are reluctant to consider the sale of their business unless personal factors such as health, family issues, retirement, etc. come into play. Because relatively few transactions have been completed in recent years, there is a backlog of companies who have a reason to need to pursue a sale opportunity. As a result, we believe there are more potential acquisition targets available now than in recent memory. In addition to the backlog of transactions, potential sellers are concerned about the potential for significant increases in tax rates associated with transactions. Unless there are changes made this year, long-term capital gains tax rates are scheduled to increase from 15% to 20% effective January 1, 2013 and the maximum ordinary income tax rate is scheduled to increase from 35% to 39.6%. The specter of higher tax rates will cause even more potential sellers to seriously consider a transaction in 2012 that will avoid these scheduled tax increases. The US Small Business Administration guaranteed over $30 billion in loans to small business in 2011, an all-time record for the agency. SBA loans are made by commercial banks and some non-bank lenders. Under the program, the SBA guarantees 75% of the loan amount against payment default. Most US banks participate in SBA lending programs. The SBA’s 7(a) program is often used for business acquisitions. If SBA loans are not right for your business and transaction, there are often other loan options available for financing acquisition transactions. As you can see, there are lots of reasons for a landscape business to consider making an acquisition in 2012. While many business owners are understandably cautious coming out of the economic downturn, the opportunity to make an acquisition that can positively affect a business is significant right now. As one friend of mind says, these are the times that businesses are built. Here’s the monthly recap of publicly announced merger & acquisition transactions in the green industry. Suburban Landscape Management, a $4 million Wichita-based landscape services company, has acquired Dreamscapes Landscaping of Derby, Kansas. Dreamscapes will continue to operate under its existing name as a division of Suburban, under the leadership of Wes Pechin, Dreamscapes’ founder. Dreamscapes will now offer its clients landscape maintenance services, in addition to design-build. Lawn Dawg Inc. of Nashua, New Hampshire, has announced the acquisition of LawnMaster of Derry, NH, its third acquisition this year. The acquisition continues Lawn Dawg’s growth in the southern New Hampshire market. Executive Landscaping, Inc. of Pensacola, Florida has merged with Pensacola Landscaping and Lawn Care, Inc. The combined company will be known as Executive Landscaping, Inc. It serves over 300 commercial accounts in the Pensacola area and have approximately 100 employees. Consolidated Landscaping, LLC has acquired the US Lawns franchises in Grapevine and Fort Worth, Texas as a part of its strategy to develop a comprehensive landscape services businesses across the DFW Metroplex. Senske Lawn & Tree Care, which also offers pest control services, has acquired Las Vegas, Nevada based Guardian Pest Defense in order to strengthen its residential pest control customer base and achieve its long term goal of operating in the metro Las Vegas area. Senske is based in Kennewick, Washington.